Pentagon recently announced a contract with Lockheed Martin for the delivery of a $928 million hypersonic weapon. The company was committed to develop, test, integrate and deliver an unspecified quantity of such weapons within the next 5 years. A hypersonic weapon is a missile that moves at a velocity greater than Mach 5, that is more than 6125 km/h in an air temperature of 15 °C. However, it differs significantly from intercontinental ballistic missiles (ICBMs), which are the basic equipment of the army. The latter do not differ significantly from rockets used in the space industry. They are usually powered by solid fuel and are driven only in the first stage of the flight, that is during ascent. This makes them move in a ballistic manner, which makes it easy to identify where they are going to "land". 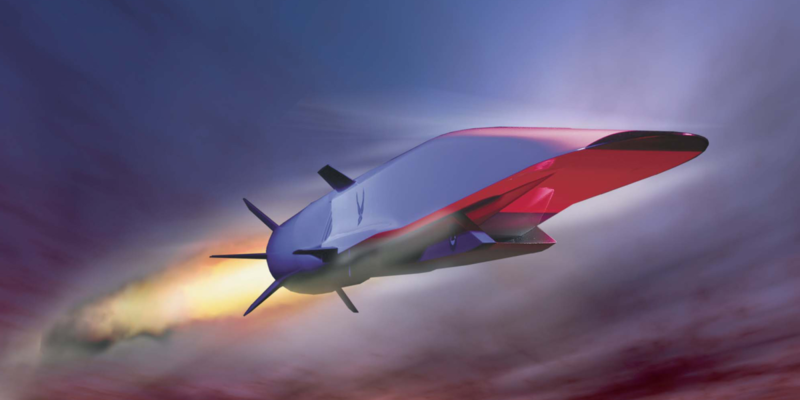 Hypersonic missiles are designed to be propelled throughout the entire flight, increasing maneuverability. As a result, it is very difficult to predict the impact location of such a missile, which gives a huge advantage over the opponent. Hypersonic weapons, due to their design and mode of movement, are insensitive to most missile defence systems. However, the high speeds achieved by such vehicles cause considerable problems in their design. Such speeds in the earth's atmosphere cause the structure to heat up enormously. Also problematic are the jet engines, which, despite their patenting as early as 1908, still pose problems for the designers. Previous work on the Falcon HTV project has been partially unsuccessful. The US Air Force takes the threat from China and Russia, who tested their versions of hypersonic weapons a few years ago, quite seriously. A Chinese prototype called DF-ZF (Pentagon's named it Wu-14), capable of carrying nuclear warheads, was tested for the first time on 9 January 2014, as reported by the Chinese Ministry of National Defence a few days later. The vehicle is supposed to reach the speed of even Mach 10, the Russians were also supposed to test their version of the hypersonic vehicle, called Yu-71, built within the framework of "Project 4202". The first test flight took place in February 2016 and the project itself foresees the launch of several operational vehicles equipped with nuclear warheads already in 2020. The Americans have a great amount of experience with the space programme, which has produced a huge amount of data and developed knowledge of the advanced materials needed for the construction of such vehicles. Programmes carried out by DARPA (Defense Advanced Research Projects Agency) have often focused on hypersonic weapons. However, there has not yet been such a serious movement on the part of the US Government as this one. For many years, Lockheed Martin has been conducting research and development on, among other things, hypersonic drives. It is therefore a suitable company to carry out such an order.